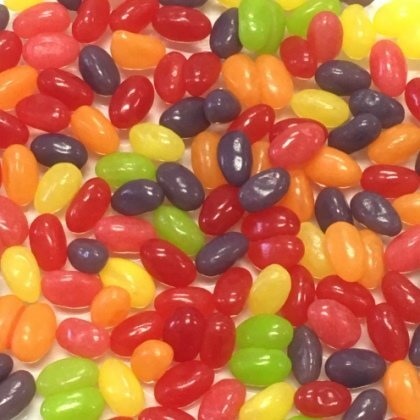 Teenie Beanie soft and chewy jelly beans will take your taste buds on a cross-country adventure with their Americana medley. Yummy variety of sweet fruit flavors including La Jolla Lemon, Napa Grape, Chesapeake Cherry, Savannah Strawberry, Indian River Orange and Laredo Lime. These are little smaller than Jelly Belly size. Made in USA. Approx. 24 pieces per ounce. 16 oz bag.